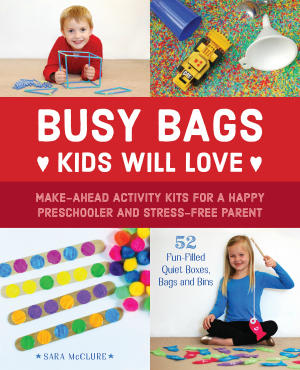 This busy bag for preschoolers or kindergarteners is a great way to practice counting. My preschooler has been enjoying this one! It’s a pretty straight forward counting busy bag, but pretending the pom-poms are gumballs is a fun little way to practice counting. We’ve pretended to chew the gumballs after each counting set and make big imaginary bubbles. He seems to like it when we pretend that. Plus, we add a little subtraction that way. I’ll do anything to get him counting and having fun with his first math interactions. Learning can and should be fun! 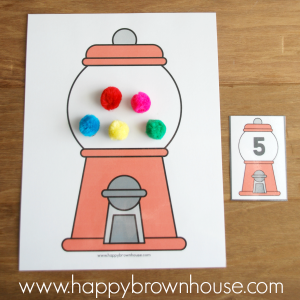 On cardstock, print the Gumball Counting Mat and Counting Cards. Kids will pick a counting card. They will place the correct number of pom-poms on the gumball counting mat. Repeat with a new card. Each time they place a pom-pom on the counting mat, preschoolers are practicing one-to-one correspondence. This beginning math skill is foundational to math success. One-to-one correspondence is when children can match the number to the correct number of objects. It’s practiced when they touch and count each pom-pom. If you’ve ever noticed a child counting objects where they count too fast and skip over an object, they need to practice one-to-one correspondence. I hope you enjoy this one! 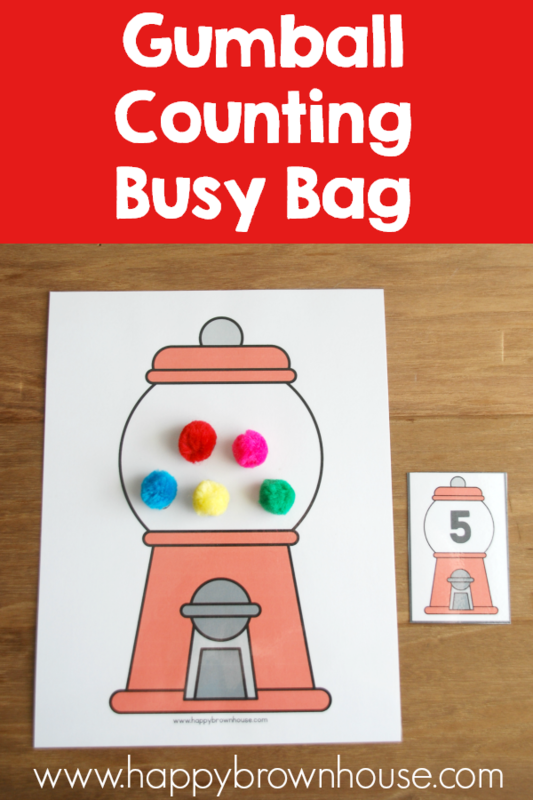 Buy the Gumball Counting Busy Bag in my blog shop for instant access. *Please note: The free period for this printable has ended.